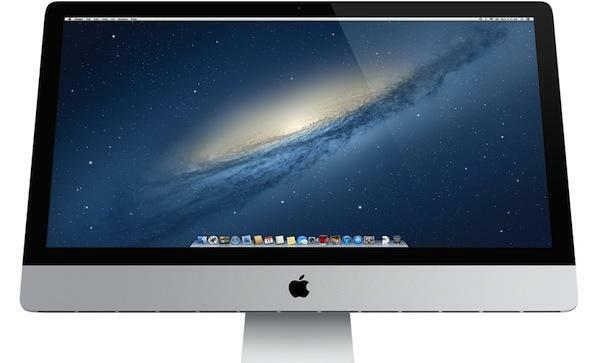 Ming-Chi Kuo of KGI Securities expects thew iMacs with Haswell processors could arrive as soon as this month. In the third quarter of calendar 2013, he expects total shipments to reach 1.1 million units. In all, he has called for iMac shipments for the full year to hit 4.7 million units, which would be up 31 percent year over year from 2012.
iMac shipments peaked in the first quarter of calendar 2013, when Apple was able to address production issues that plagued the desktops at launch, sending out 1.75 million units. In the soon-to-conclude June quarter, he expects iMac shipments will be 650,000, as demand for the new models has cooled off. The redesigned all-in-one machines first launched in the holiday 2012 quarter, but supply was severely constrained for weeks, until Apple was able to resolve its apparent production issues in early 2013. Months before the launch of the new iMac, Kuo accurately predicted both the thinner redesign and the severe constraints that Apple would face. He said the production issues were mostly associated with a unique screen lamination process employed by Apple. With the launch of new iMacs in the June-July timeframe, Kuo expects that major suppliers such as Quanta and Radiant will see their shipments "climb sharply" in the third quarter of calendar 2013. Monday's note from Kuo offered no suggestion that new Haswell-powered iMacs will be unveiled at today's Worldwide Developers Conference keynote. Instead, Apple is expected to introduce new MacBooks alongside its major software offerings: iOS 7 and OS X 10.9.